When markets are frothy and bubbly." And ideally, the head of compliance. Keeps tickets of trades in his drawer. It's a throwback to dealing room lore. Today's idle limerick musings, unlike most of the verses in this space, do not describe any particular incident or people. However, I was prompted to reflect on financial fraud by events at the Citigroup subsidiary Banamex, which has just suffered a $400 million loss from nefarious goings-on at one of its customers. The Mexican oil field services company Oceanografía, a supplier to the national oil company Pemex, had been selling their Pemex receivables to Banamex to raise funds - a routine trade finance transaction - and apparently were so pleased at their funding success that they decided to sell another $400 million of receivables that they didn't have. It's another reminder that financial fraud may be detectable and even, in our too-big-to-jail era, punishable; in the hands of a determined practitioner, however, it is rarely preventable. Consumption Be Done About It? What Happens if We Default? The Wall St. Journal Celebrates St. Patrick's Day with Limericks Économiques! Dr. Goose earned a PhD in economics from the Universities of Western Ontario and North Carolina (he migrated every spring and fall). Known for bringing the Dismal Science a little more down, Dr. Goose first made his mark with a research paper entitled "Migrant Labor: Fair or Fowl?" With interests that range from Washington to Wall Street and beyond, Dr. 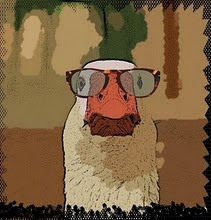 Goose has made it his mission to promote economic awareness through limericks. Issues & news of the day, from the worlds of economics, politics and finance, distilled into five-line jewels of satirical, anapestic clarity (i.e., limericks) by the winged, web-footed economist Dr. Goose. Limericks Économiques by Dr. Goose is licensed under a Creative Commons Attribution-Noncommercial-No Derivative Works 3.0 United States License.